We're a publisher with 50 years of expertise. Our team will work with you to develop products that engage employees, build brand awareness, and inspire customer loyalty. "Chronicle Books did a great job on producing the definitive book on eyebrows for Benefit. We were very pleased with their partnership, their incredibly talented group of experts, and the overall quality of their work. We highly recommend this team for custom book projects." "For our centennial, we wanted to work with a publisher that would create a book that engaged and inspired our employees, customers, communities and everyone who is a part of, or an enthusiast of, Boeing and aerospace. Much more than list our products and heritage companies, the book needed to show how Boeing fit into, and often led, a century's worth of global growth, technological revolutions, and economic shifts to become the world's leading aerospace company. We're happy to say Chronicle did it and did it very well." "Chronicle has been our true partner in conceiving and bringing the incredibly complex 360 Sound: The History of Columbia Records to fruition. The Chronicle team always went beyond the call of duty as our direction, timetable and the market changed."  the St. Regis Signature Cocktail."